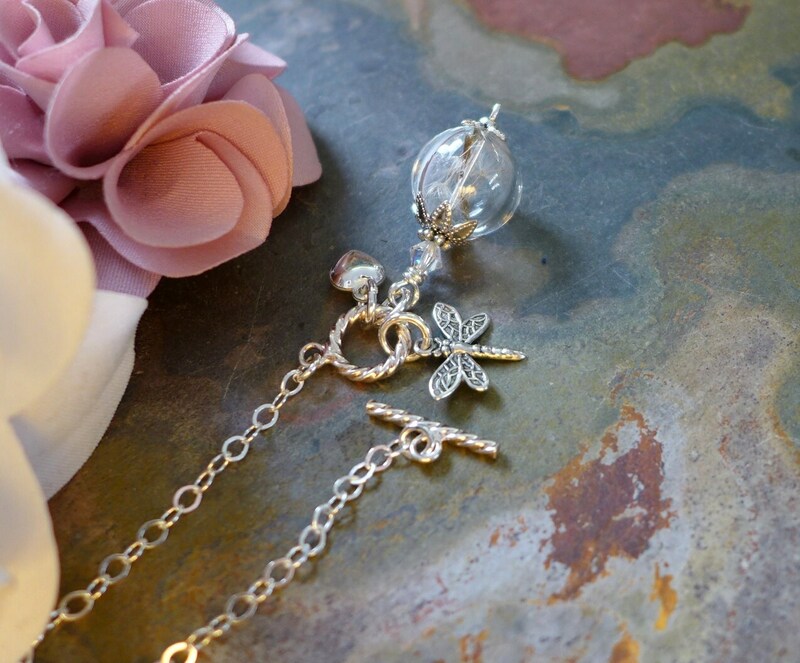 This lovely necklace is made with 15mm hand-blown clear glass orb filled with genuine dandelion flower seeds. This glass ball is the one that I uses to make the earrings. Make a wish by blowing the seeds off a dandelion clock. It was said that that blowing the seeds off a dandelion clock while thinking of the one you love will carry your thoughts of love to them. Carry your wish with you everywhere you go! 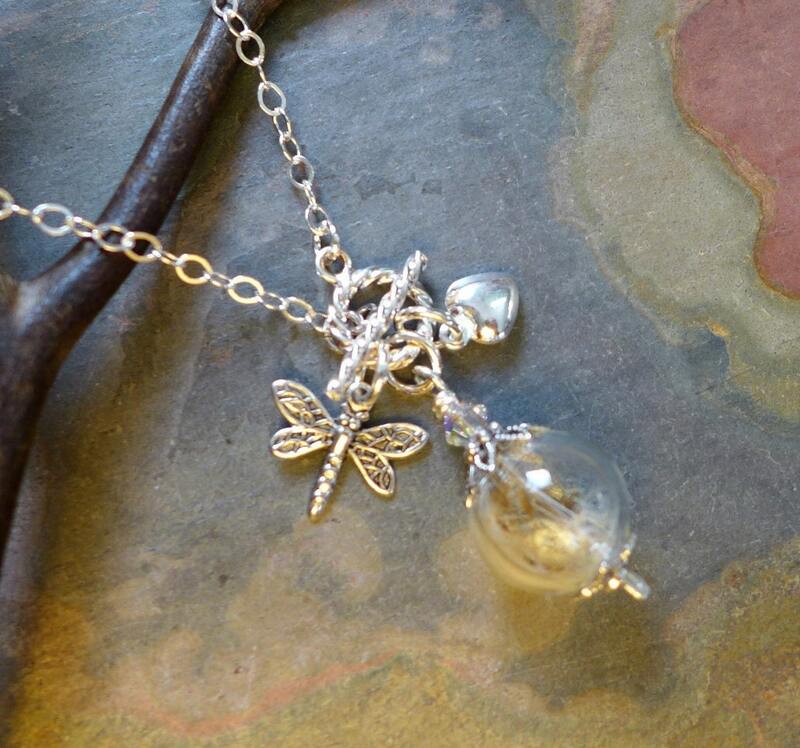 The orb is adorned with silver pewter bead caps, Pearl, small silver dragonfly charm & 8mm sterling ilver puffed heart charm. 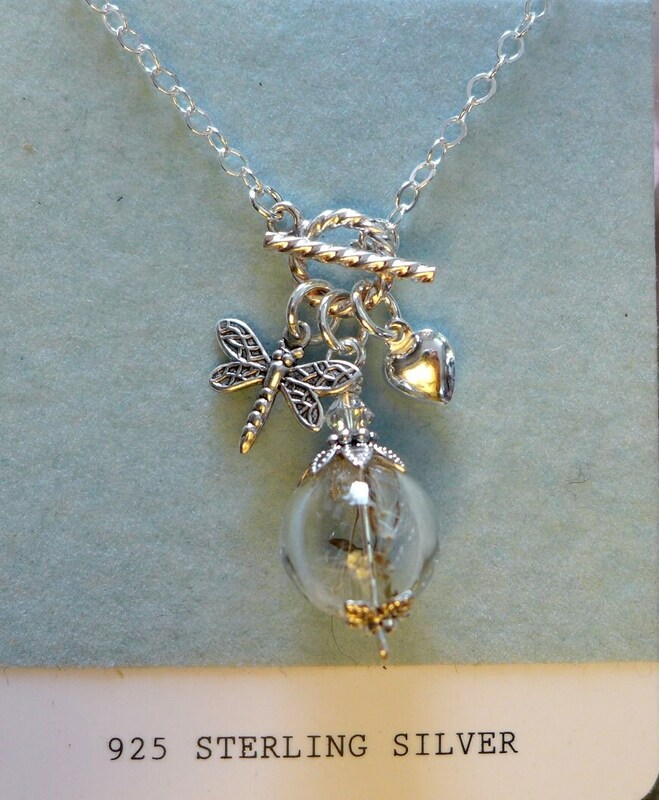 ***The orb pendant is attached to a 10mm in diameter fancy .925 sterling silver toggle clasp( toggle ring to measures about 1/3 inch in diameter).& .925 sterling silver able chain. It is closed in front. The toggle clasps are a decorative detail in necklaces, adding beauty to function. And toggle clasps are easy clasp. 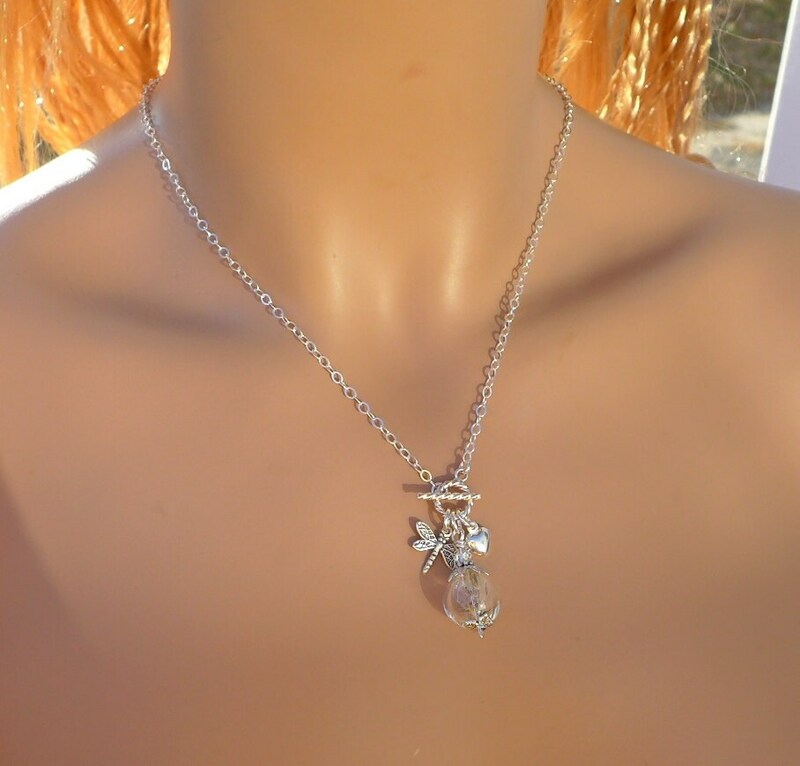 ***Ready to give as a gift or gift to your self.